Three-layer thin films comprising of two polymers as substrate (ethyl cellulose and, copovidone K28) and three antihypertensive agents (hydrochlorothiazide, amiloride HCl, and carvedilol) were printed using jet dispensing technology. Two film formulations with different ethyl cellulose to copovidone K28 ratio (i.e., 90/10 and 50/50 w/w) were prepared using a three-course dispensing. The films were characterized regarding surface morphology, solid-state properties, polymer-drug interactions, drug distribution in each layer, and in vitro drug release. All the components of the films were found to be in the amorphous state apart from hydrochlorothiazide which retained its crystallinity. FT-IR spectroscopy revealed hydrogen bond interactions between carvedilol and copovidone K28. Combinations of ethyl cellulose and copovidone K28 provide suitable polymeric film substrates with the ability to modify drug release. Particularly, decreased ethyl cellulose to copovidone K28 weight ratio was found to suppress the crystallization of hydrochlorothiazide and to increase the release rate of the dispensed drugs. 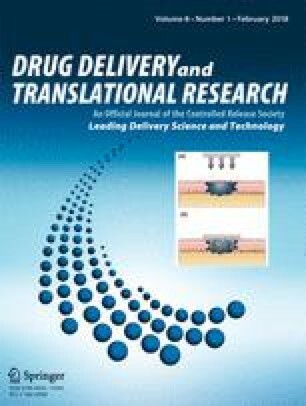 Jet dispensing was found to be a rapid technology for the preparation of multi-layered films that can be used as personalized formulations for the delivery of combinations of drugs. The authors are grateful to Ms. Devyani Amin (University of Greenwich) for her help with the development of the HPLC method.